Really it's just a piece of candy but "Chocolate Statue" sounds quite grand, doesn't it? I like to walk to Walgreen's the day after Valentine's Day to get some treats for 50% off the regular price. 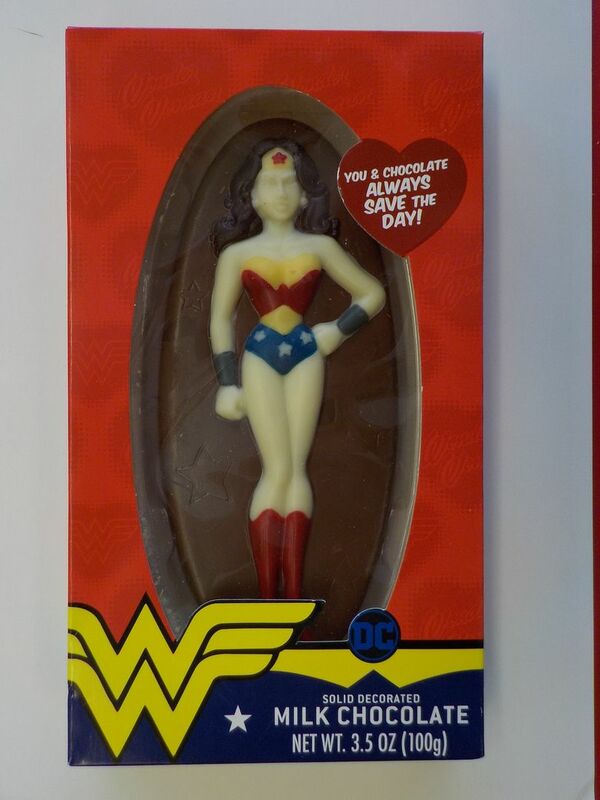 Of course I knew I had to purchase the Solid Decorated Milk Chocolate Wonder Woman as soon as I spotted it, mainly so I could display it here. I went the extra mile and just took a bite out of the candy. Delicious! Christopher Nolan is one of our finest modern-day film directors. Memento (2000) was my first encounter with the gentleman's work and I found it to be wonderful. His Inception (2010) and The Prestige (2006) were every bit as great, and of course his Batman trilogy (2005, 2008, 2102) were remarkable. You might remember that his Dunkirk (2017) struck me so much as an EC war comic brought to life that I had a few things to say about it right here on the Hfz. Last week I was searching on Netflix for discs that I might add to my mailing queue and I was startled to spot a Christopher Nolan movie I had never heard of: Following (1998). I put that request at the top of my queue and it arrived in the mail a few days later. Though just 70 minutes long, Following has the earmarks of a Christopher Nolan film: excellent plotting with an interesting new angle to the story, and smart dialogue for all the characters. 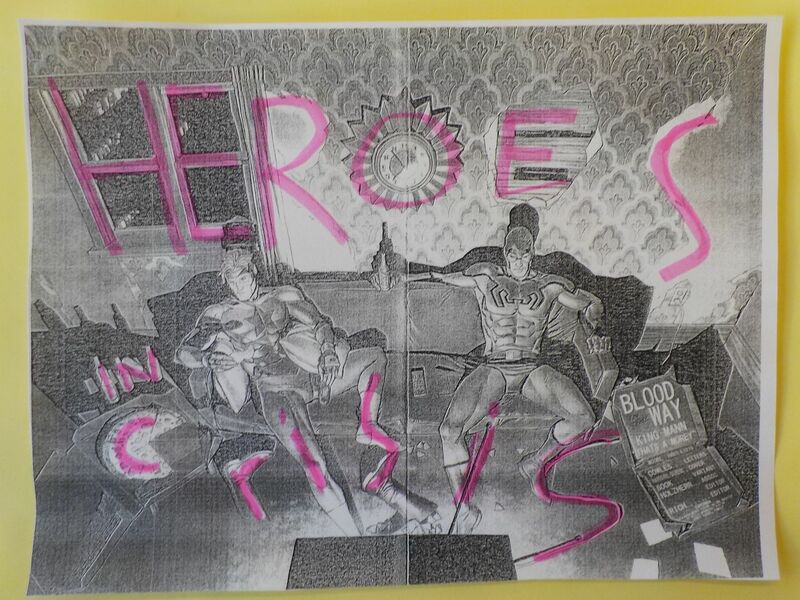 I expected Following to be a good movie but I never expected to see a Batman insignia on the door of a London flat that the hoodlums were breaking into! 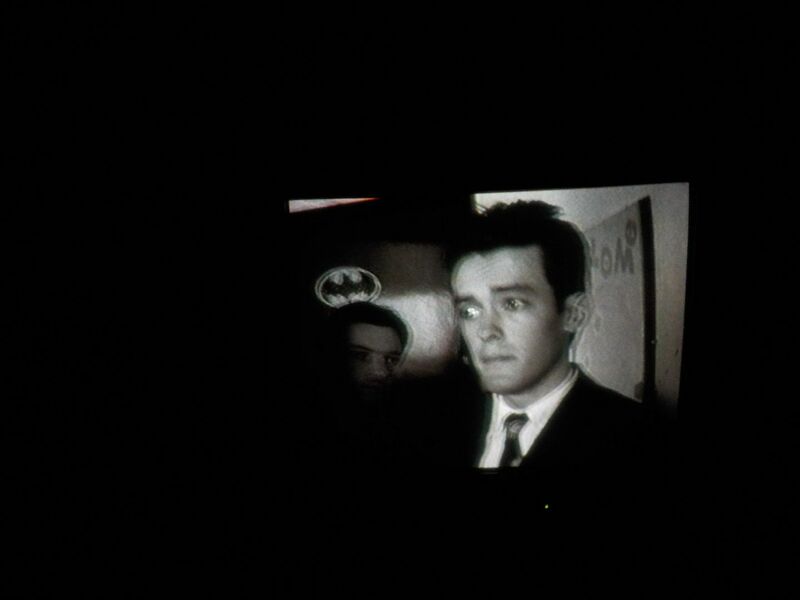 A full seven years before the gent's first Batman movie Christopher Nolan telegraphed to all of us where he planned on going. Message received! 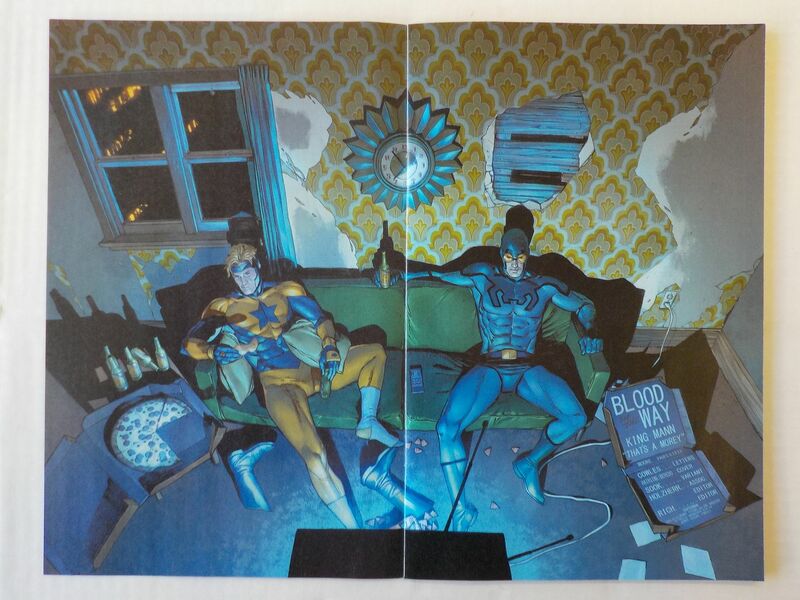 Dr. Jerry Bails was one of the architects of comic book fandom. 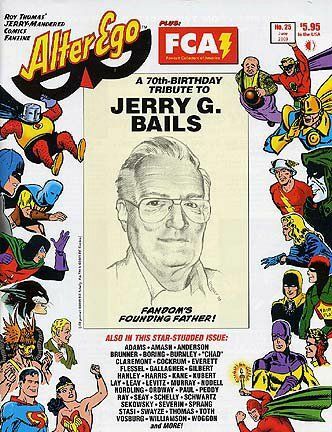 In the 1960s he was the founding editor of the fanzine Alter Ego, and in the 1970s Dr. Bails went on the write the four-volume Who's Who in American Comics reference work in the 1970s and which I referred to so many times in those long-ago decades. I mail-ordered my Who's Whos directly from Dr. Bails (who had a Ph.D. in Natural Science) and thereby found myself on his mailing list. From time to time he would cull his herd and sell off some of the original comic artwork in his collection. One time in the mid-1970s I pulled the trigger and bought a page from Dr. Bails. I don't remember what page it was and I sent a check for it sight unseen going by Dr. Bails' description indicated that there was a splash on the page. 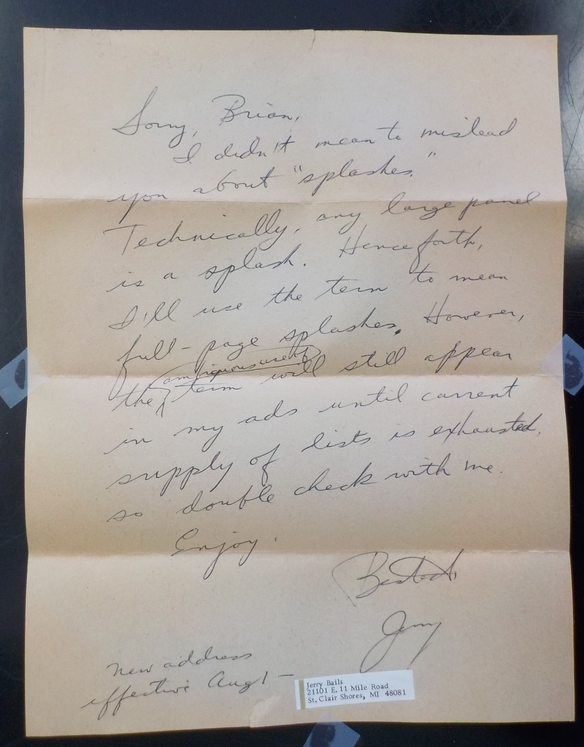 When I received the artwork and was disappointed that it was not a full-page splash, I (gulp) wrote Dr. Bails a letter of complaint (mild I hope) and the gentlemen replied to me with the below very polite note. Please notice that Dr. Bails was sensitive to my concern and said that thereafter he would specify "splash page" only when he meant "full-page splash." Maybe this means that I myself had a hand in tightening up the language used in comics fandom? How about that! 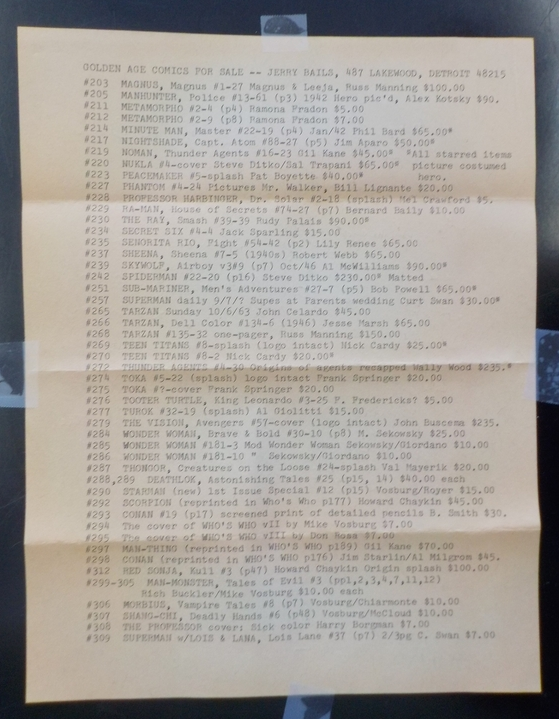 The reverse side of that note page was Dr. Bails' then-current original art sale list. Maybe you would be interested in a Steve Ditko page from Amazing Spider-Man #22 for $230? 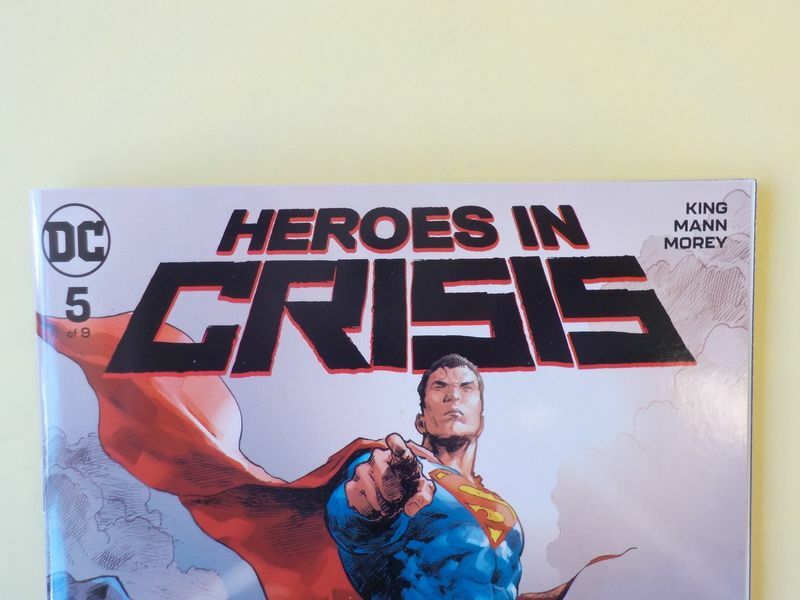 Look for "Heroes in Crisis"
I have now been reading comic books for 50 years and it's a fun treat for me when I discover something about older comics that I hadn't known previously. Did you realize that genius-of-comics Sheldon Mayer drew the cover of every DC Comics issue of Mutt and Jeff from #1 in 1939 to the last issue #103 in 1958? I was amazed by that tidbit when I learned it earlier this year! But that's not the only morsel of amazement I will share with you today. Take a look at the above 1952 cover to Mutt and Jeff #56 and see if you notice anything unusual. Here, I'll give you a close-up so you can focus your eyes. 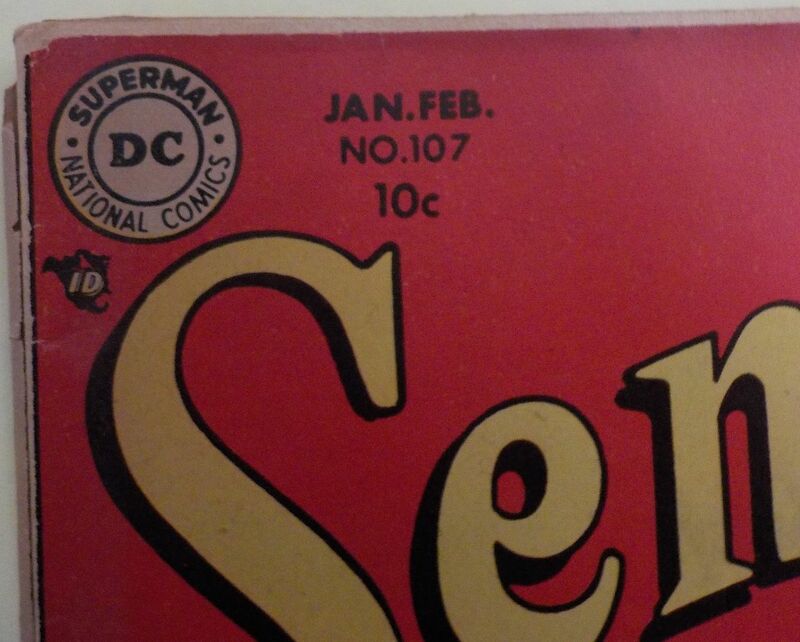 For comparison's sake, here's a detail of the cover to an issue of Sensation Comics from the same year. 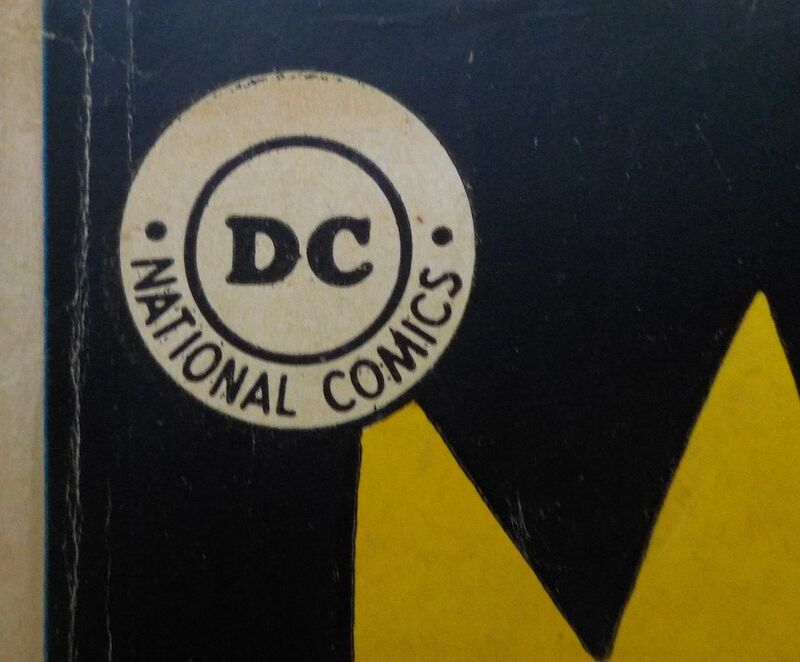 Of course the Sensation cover has the more standard version of that era's DC logo (or DC bullet, as it's known) with "SUPERMAN" rounding out the upper portion. To the best of my knowledge, incomplete bullets appeared on no other covers but Mutt and Jeff issues. 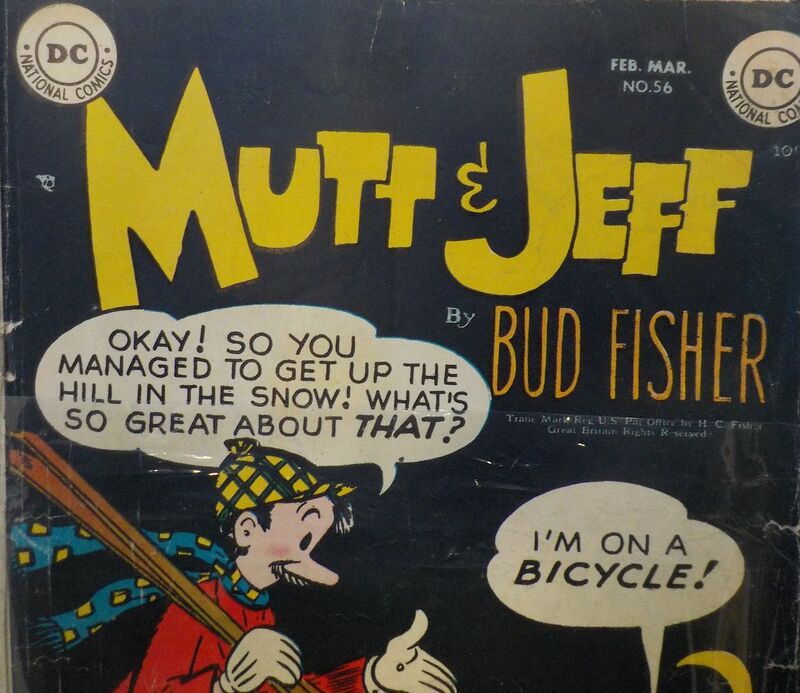 The "SUPERMAN" is missing from the DC bullet on every Mutt and Jeff cover from #56 in 1952 to #72 in 1954.